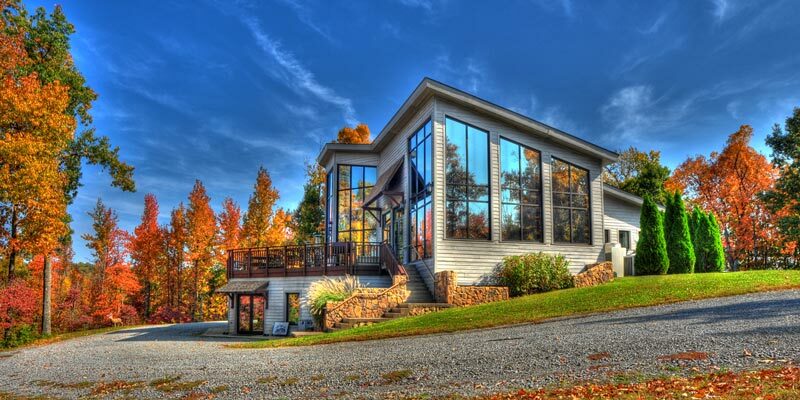 Deer Creek is a top-notch lodge in Kentucky. In person, the lodge and hunting experiences speak for themselves. But effectively portraying such a world-class place and getting that image in front of the target audience was a challenge. That’s because of the intense competition from other big-name outfitters. 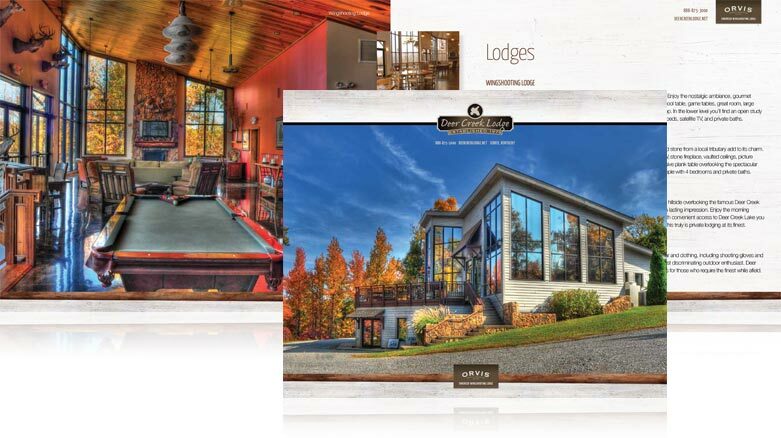 High-quality photography showcases the lodge and services in a true-to-life way. We presented it in a format that adapts to all screens, so it’s easy for visitors to access the information they need. We honed the message so potential customers can easily find what they need to know... and make a decision. That included following best practices for garnering quality traffic from organic search. In a highly competitive industry, we used targeted PPC advertising to get additional exposure for Deer Creek in the more flooded market segments. Deer Creek is a world-class operation, and it needed a strong online presence to convey that. 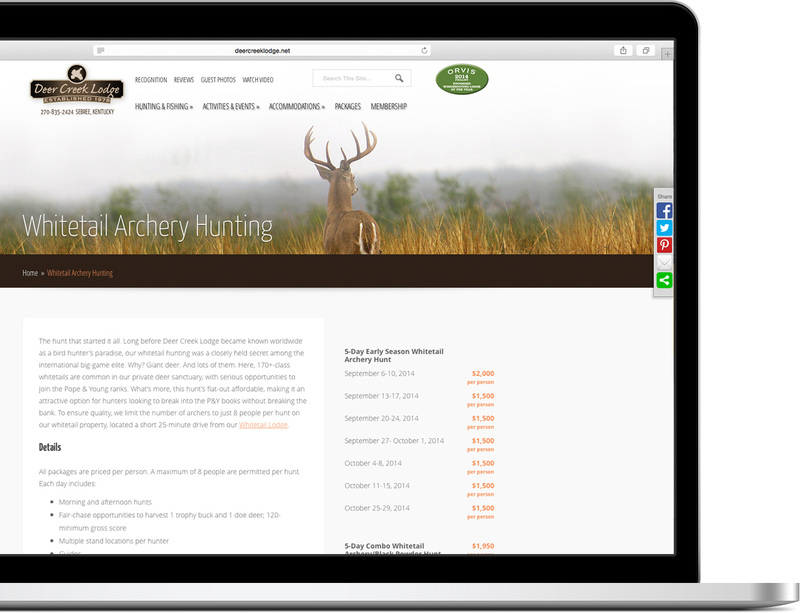 Now, with an elegant site that is very easy to use and find, along with numerous inbound marketing tactics, Deer Creek is converting quality leads.